Award recognizes "strong commitment to improving the lives of older adults"
WASHINGTON, December 13, 2017	(Newswire.com) - John Feather, Ph.D., Chief Executive Officer of Grantmakers In Aging (GIA), accepted the 2017 Ophelia Rinaldi Lifetime Achievement Award from the National Hispanic Council on Aging at its annual awards dinner in Washington, DC last evening. The award recognizes Dr. Feather’s decades of work in philanthropy, gerontology, and education, his commitment to improving the lives of older people, and his past service on the board of the National Hispanic Council on Aging, which is the nation’s premier organization focused on improving the lives of Hispanic older adults, their families, and caregivers. In 2011, Dr. Feather became CEO of Grantmakers In Aging, an affinity group for all types of philanthropies with a shared interest in improving the experience of aging. In addition to its annual conference and other educational and collaborative activities, GIA has led projects to increase attention and philanthropic support for age-friendly communities, rural aging, health system transformation, and the ReFraming Aging initiative. Before becoming CEO of GIA, Dr. Feather led the American Society of Consultant Pharmacists and the AARP Andrus Foundation and held several positions at the State University of New York at Buffalo, including Clinical Associate Professor of Medicine in the Division of Geriatrics and Gerontology and Executive Director of the Primary Care Resource Center. Prior to that, he was Director of the Western New York Geriatric Education Center. 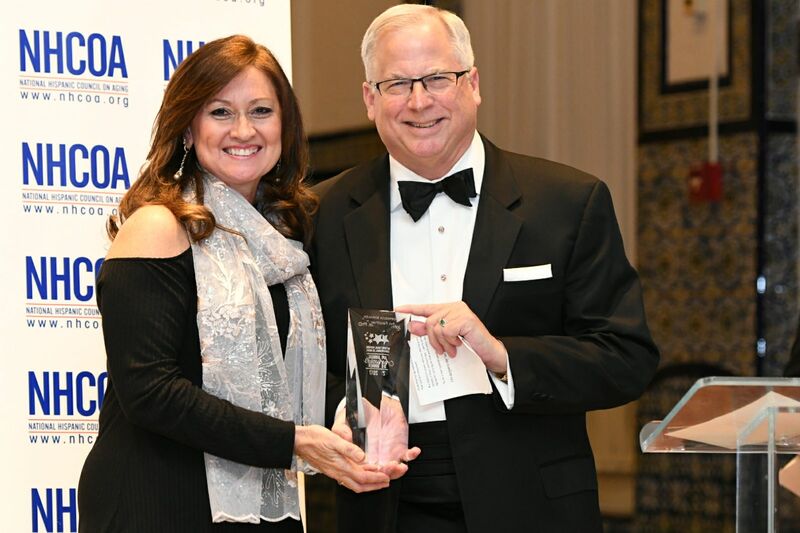 Other NHCOA honorees included: José Acarón, AARP Puerto Rico state director; Blanca Stumpo, who received the Outstanding Community Service Award; Congressman Raul Ruiz, MD; Matthew Y.C. Lin, MD, Deputy Assistant Secretary for Minority Health for the U.S. Department of Health and Human Services; Claudia Carravetta, Senior Director of Government Affairs at Abbvie; and Abimarlee Martínez of Telemundo. The Ophelia Rinaldi Lifetime Achievement Award is named for Ophelia Rinaldi, a social worker and founding member of the National Hispanic Council on Aging who passed away in October 2017 at the age of 84. She was inducted into the AARP New Mexico Hall of Fame and New Mexico Aging and Long-Term Services Department for her volunteer advocacy work on behalf of New Mexico seniors. Grantmakers In Aging (GIA) is an inclusive and responsive membership organization comprised of all types of philanthropies with a common dedication to improving the experience of aging. GIA members have a shared recognition that a society that is better for older adults is better for people of all ages. For more information, please visit GIAging.org. The National Hispanic Council on Aging (NHCOA) is the leading national organization working to improve the lives of Hispanic older adults, their families and their caregivers. Headquartered in Washington, DC, NHCOA has been a strong voice dedicated to promoting, educating, and advocating for research, policy, and practice in the areas of economic security, health, and housing for more than 30 years. For more information, visit www.nhcoa.org. 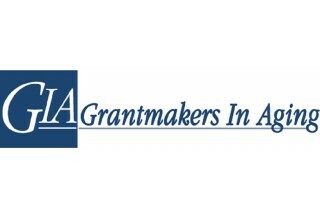 Grantmakers In Aging (GIA) is an inclusive and responsive membership organization comprised of all types of philanthropies with a common dedication to improving the experience of aging.